NINTENDO Game Boy Micro, OXY-001, OXY-003 Replacement Nintendo DS Lite Battery. Type: Lithium-Polymer. Voltage: 3.8 V. Capacity: 460 mAh. Height: 37.2 mm. Width: 23.6 mm. Depth: 6.7 mm. Connector: red + black flex with two-pin connector. Price: £9.95. Postage and packing included. Replaces: Nintendo OXY-001, OXY001, OXY003, NINTENDO Game Boy Micro, OXY-001 and more. This NINTENDO Game Boy Micro, OXY-001 Lithium Polymer Nintendo DS Lite battery is suitable for the Nintendo Game Boy Micro portable game player. 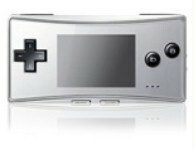 It is a DIRECT replacement for the Nintendo NINTENDO Game Boy Micro, OXY-001 and USG-001 series battery. 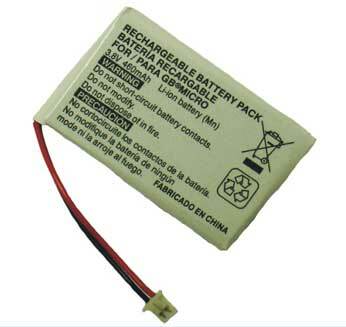 This NINTENDO Game Boy Micro, OXY-001 battery comes with a one year manufacturer's warranty. This battery only applies to the Nintendo Game Boy Micro (model OXY-001 and NINTENDO Game Boy Micro, OXY-003). If you have an original style Nintendo DS (model NTR-001 or NTR-003), please click here.